The Oldest Bakery In Texas Ships Thousands of Pounds of East Texas Desserts- The oldest bakery in Texas has been busy all year preparing for their busiest season of the year. The holiday season rush begins during the hot East Texas summer months for Eilenberger’s Bakery, located in historic downtown Palestine. Pryor has worked for the 112-year-old bakery for 15 years. She started as a temporary employee over the bustling holiday season of 1995. She has worked at nearly every level in the bakery, and worked her way up over the years into the position she now holds. Although Pryor is the general manager, she continues to assist in every area of the bakery. For over a century, Eilenberger’s has been delivering baked goods to area residents from the same location. Eilenberger’s has kept an East Texas baking tradition alive by not only providing favorite hometown desserts to area residents, but by shipping East Texas made products worldwide. “If we can get it through customs, we will ship it to you anywhere in the world,” said Pryor of the world famous bakery. More manpower is required for the holiday season at the bakery, which in turn leads to area residents being able to snag extra jobs for extra Christmas cash. “We are very fortunate that we get a lot of the same temporary employees back year after year. Returning temps help train others, and enjoy the work,” said Pryor. Eilenberger’s is capable of producing up to 2,000 cakes per day, and in order to meet their holiday quotas they must bake at least that many. The bakery has five industrial ovens, one of which is capable of holding 200 to 300 cakes at a time, depending on the size of the cake. Over the years, the bakery has been known to try all sorts of different methods in order to perfect their famous recipes. For many years, the bakery used a cement mixer in order to churn the fruitcake. According to Pryor, the cement mixer allowed the bakery to produce fruitcakes with large pecans because the cement mixer would not break them down too much. The bakery has since retired the cement mixer, and bought a hopper, which appears to be doing a fine job. The three top selling Christmas baked goods are the two-pound Texas Pecan Cake, followed by the World Famous Fruitcake, and finally the Australian Apricot Cake. Hundreds of Texas-shaped baking pans line the production area of the bakery, along with hundreds of other baking pans used to produce the delicious desserts people from every part of the world have grown to love over the last century. Fredrick Herman Elienberger, also known as F.H., was the founder of Eilenberger’s Bakery and through his contributions he made the rich history of Palestine sweeter. Eilenberger, a German immigrant, began his East Texas business endeavor in 1898 after leaving his native homeland of Leipzig, Germany in 1881. According to Pryor, who has researched the bakery’s history thoroughly, Eilenberger left Germany with two things; family memories from his native land and a treasured recipe for fruitcake. The Eilenberger family set sail for America when Eilenberger was just a boy of four years old. Seventeen years later, after working in Ft. Worth and Galveston bakeries Eilenberger founded what is now the world famous bakery in Palestine. The bakery was originally named American Home Bakery. The original establishment burned in 1915, however, Eilenberger was determined to continue operating his bakery at a temporary site until he rebuilt three years later, at the current location. The determined Eilenberger delivered bread by horse-drawn wagons until 1920. The bakery eventually evolved into a wholesale operation. By the 1930s and 1940s, Eilenberger’s wholesale operation had expanded and was operating with a fleet of 15 to 20 delivery trucks. “F.H. donated food and bread to our men in the service who passed through Palestine in the troop trains. Also, during the Depression he gave out bread tickets so that people who could not afford bread could come get day-old bread at no charge,” said Pryor. Eilenberger had chosen the prime location for his lasting business. The seat of Anderson County, which was once part of Houston County, was a major stopping point for the International and greater Northern Railroad. In 1949, Eilenberger sold the bakery to his sons, Fred and Herman, and his son-in-law, Claude Westerman. “Realizing that man could not live on bread alone, the bakery began producing a variety of other baked goods, including fruitcake,” said Pryor. The new bakery owners, and descendants of F.H. Eilenberger, put the German family fruitcake recipe to work for the bakery. The business venture was successful, and in fact, it was so successful that Eilenberger’s switched its primary product from bread to fruitcakes in 1968. According to Pryor, the bakery made the fruitcake its primary product due to increasing pressure from automated competitors. By 1978, Tom Broyles, a fifth-generation Texan and the great-grandson of Texas Gov. Thomas Mitchell Campbell, saved the bakery from closure. Broyles purchased the bakery from the Eilenberger family, and owned it until 1993. Broyles then sold the bakery to Silverado Foods of Tulsa, Oklahoma. Broyles managed the bakery for Silverado Foods from 1993 to 1995. During Broyles tenure in 1980, the Texas Pecan Cake and World Famous Fruitcake earned Monde International Gold Medal Awards at the World Food Selection in Brussels. The bakery changed hands again in 1997. Centennial Foods of Atlanta, Georgia purchased the bakery, but closed the doors a few years later. Smith was well on her way to re-instilling success at the bakery, but fell ill and passed away in 2008. Upon Smith’s passing, Southern Fulfillment Services, out of Vero Beach, Florida acquired the over a century-old bakery. “Southern Fulfillment Services already owned national catalogers Hale Groves and Pittman & Davis, two established brands offering citrus, specialty fruit, and gourmet food gift selections,” explained Pryor. In order to keep the more than 100-year-old bakery thriving and to support Eilenberger’s strategic marketing efforts, the bakery has moved into the future by continuously maintaining an updated website. Eilenberger’s also distributes as many as 300,000 catalogs each year, and advertises in newspapers and magazines around the country. Pryor said that much of the bakery’s business comes from word of mouth. She also elaborated on the role local residents play in Texas’s oldest bakery. Although Eilenberger’s is capable of shipping around the world, and does, it has not forgotten how to serve its local customers. “Local residents purchase an assortment of baked goods from the display cases, or pre-order for special occasions throughout the year,” said Pryor. In addition to Eilenberger’s selection of premium desserts, patrons may also savor a variety of made-to-order sandwiches served on Eilenberger’s gourmet breads, or purchase specialty items, such as canned items like apple butter, raspberry preserves, marinated mushrooms, and garlic stuffed olives. Although Eilenberger’s does not use horse-drawn wagons to deliver bread anymore, or a cement mixer to churn their famous fruitcake mix, the determined spirit of F.H. Eilenberger lives on through the bakery’s rich history, and through the efforts of the employees of the twenty-first century. The history of Eilenberger’s Bakery is twice as sweet as any East Texas history, given the sweet ingredients and success for over 100 years. Both have proven to be key ingredients to the historic bakery. Anyone who has not visited Eilenberger’s Bakery in historic downtown Palestine, located at 512 North John Street, is encouraged to stop by for a treat, in every sense of the word. Indulge in East Texas history while treating yourself, family, or friends to the baked goodness of Eilenberger’s Bakery. For more information about Eielenberger’s Bakery log on to eilenbergerbakery.com. To request a catalog call 1-800-788-2996. 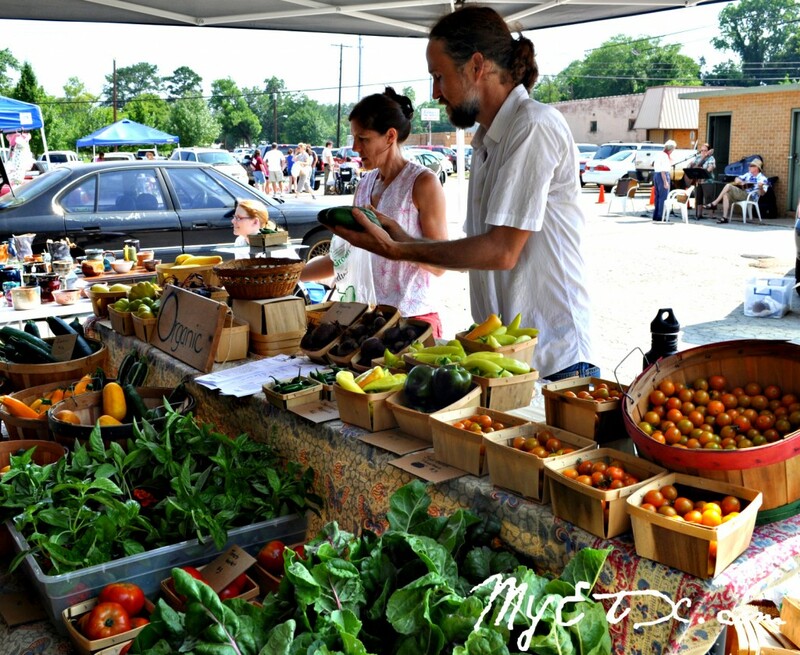 Nacogdoches, Texas- The Nacogdoches Farmer’s Market and the Healthy Nacogdoches Coalition are excited to announce their plans to host the fifth special edition of the Nacogdoches Farmer’s Market on the grounds of Memorial Hospital next week. The market will be held Wednesday, April 16th Street. We probably had fresh greens, pintos and cornbread and onions just dug from the garden. We came out onto the front porch to catch the breeze and cool off from a day of work and the heat of the kitchen. 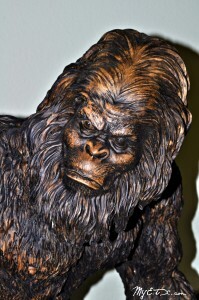 MINEOLA- Got Bigfoot? The Mineola Nature Preserve’s Bigfoot Meets NatureFest will host the big guy on Friday, October 11th with the (adult only) Bigfoot Bash. Doors open at 6pm, dinner at 6:30. The Bash will feature a 7 ft Bigfoot sculpture of cupcakes by Food Network’s Cupcake Wars winner “The Luscious Crumb.” There will be a cash prize for the winner of the Bigfoot Look-Alike contest (No costumes) and dances with the wood ape himself. Entertainment provided by the classic rock band Dazed from 8-11:00p.m. The Bash promises to be a fun and entertaining evening. Tickets can be purchased online at mineolanaturepreserve.com. The rest of them are vegetarian, some eat eggs, some eat dairy. So that I’m not making multiple meals, I just make everything vegan and gluten-free, then everyone is free to add cheese, sour cream, whatever they want to their own plates.